The start of the year is a time of renewed conviction to improve professionally, and many workers change jobs within the first several months of a new year. As you enter 2016, here are four things you can update on your resume to prepare for a possible career change this year. 1. Your career objective. I know. Implying that your resume has an "Objective" seems taboo per modern standards. However, even if you don't write "Objective" on your resume, it needs a professional purpose. You need to determine if you are targeting more of the same or looking to change your role, responsibilities or industry. 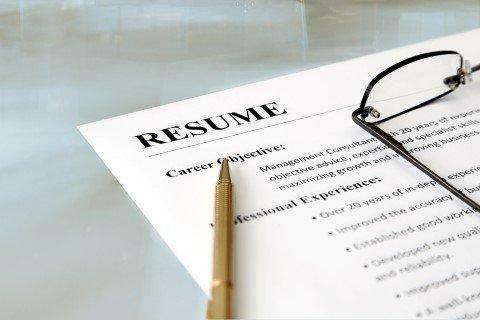 Depending on your goal, your resume should clearly reflect how you are a strong contender for a specific role. Resumes without a specific purpose -- or objective -- do not fare as well as those that are targeted. Remember, it is the job seeker's responsibility to establish his worth if he wants to capture the attention of a busy and distracted hiring manager. So, even though you no longer write "Objective," your summary, the description of your previous positions and overall look and feel of your resume should be aligned with the change you seek. 2. Your layout. Once you have a professional goal in mind, reexamine your resume to see if the layout helps or hurts. For example, when you are a new college graduate, your college degree is most likely your greatest professional accomplishment and should be listed first. Fast forward a couple of years, and instead of listing your degree first, relevant work experience should lead the resume. Another cause for layout modification is a desired change in career path or industry. For example, let's say that you have been working as a sales person in the pharmaceutical industry and would like to start in project management in any field. You may need a strong summary at the top of your resume to convey how your sales role gave you opportunity to hone your project management skills. Or maybe you have gone through a rigorous project management certification program and would benefit from including a "Skills and Training" section near the top of your resume. Finally, everyone should view their resume on a mobile phone. You will be amazed at how little space you have to work with before the screen cuts off. It is critical that those top few lines capture the readers so that they are compelled to open the document all of the way or scroll down. Wasting half of the available mobile screen space on contact information is never a good idea. 3. Your impact. A typical resume is a list of duties. However, a powerful resume communicates the impact you have made in your roles, not just your tasks. Think about the business problems you have solved. Look for ways to quantify or measure your success. For example, does your role have an efficiency rating or customer satisfaction score? Do you process a high volume of something or perform with a low error or escalation percentage? Numbers make the reader feel that something is true and factual, not just your opinion. When you can include them, along with a well-written description of how you added value, a hiring manager is more likely to think you're a better hire than someone who has no visible track record. 4. Your errors. Once you have put the finishing touches on your masterpiece, print it out. Too often, people rely on on-screen editing to catch every error. Your eyes will catch more when you look at your document on paper. Of course, you can use the "Reveal Codes" feature to see all the hidden editing, such as spacing, but you should still print a final document. After your first review, walk away, then review one more time later in the day. It never hurts to ask a trusted friend to review as well. Make sure you pick someone detail-oriented with excellent command of grammar and punctuation. Ask someone who will truly take the time to read your resume. With those three extra layers of review, your resume should be ready for submission. Landing a new career is not easy for most. Taking time to examine and enhance your critical first impression -- your resume -- displays your professional commitment. It also makes it easier to be identified for a first interview by recruiters and hiring managers who receive hundreds of poorly matched -- or poorly written -- submissions. Here's to your success in 2016.